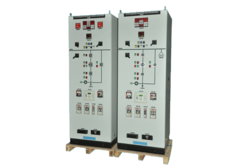 We are prominent manufacturer and supplier engaged in offering a complete range of C&R Panel. These are manufactured from fine quality raw material. 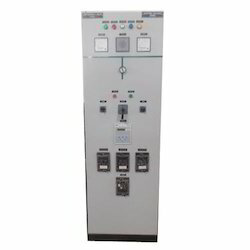 We manufacture 33 KV Relay Panel which are specifically created to control and monitor the electrical equipments, transformers, generators and circuit breakers. We have designed these panels in single circuit and multi circuit combination with a great attention on wiring terminations to meet specific customers’ requirements. They consist of fuses, switches, terminals, cable glands, relays, earthling terminals and various essential components. We avail this product at the best market price-range. Control Relay and Instrumentation Panels to control and monitor Protection Relays and Measuring devices of 33kV and 66kV Sub Station with MIMIC diagrams.